The Salvation Army aims to offer programs for children that address the needs of the whole child, including helping kids stay healthy and fit, develop community relationships that promote their safety, and engaging their minds and creativity through music. Programs like Small Fry Basketball and Fit Club help children stay active and improve fitness, while Fit Club also teaches kids to make healthy snacks and meals and choose healthy foods at the grocery store. The Shields United Program for middle and high school kids builds positive relationships between the youth in our community and Law Enforcement using sports as a conduit. 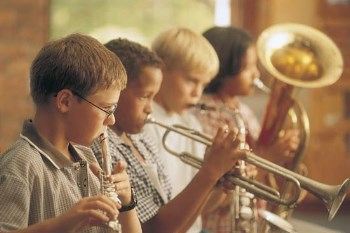 The Salvation Army’s Shield Fine Arts Academy offers free music lessons in variety of disciplines. While most classes are geared towards school aged children, there are early music education classes for Pre-K and Kindergarten and all lessons are open to adults. Not only are the lessons free, the Shield Fine Arts Academy (SFAA) has an inventory of instruments that participants are able to use, giving any willing student the opportunity to learn music. Many of the students attending the Academy are neighborhood kids whose families would not be able to afford this type of instruction. Studying music opens up many doors in life. It also teaches and encourages self-discipline, creativity, self-confidence, responsibility, develops interpersonal skills. Not to mention, it is fun! Currently in its fourth season, the SFAA offers lessons in brass (cornet/trumpet, trombone, alto/tenor horn, baritone, tuba, etc. ), vocal, piano, guitar, ukulele, dance, timbrels (creative movement with tamborines), and general music education. There are also two different brass bands. Junior Band is for the developing musician and the Shield Brass Band is for higher skilled musicians aged 14 and older. Currently there are 76 participants registered in the SFAA. 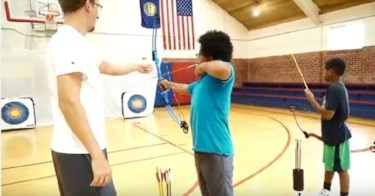 Many kids take multiple disciplines and classes each week. 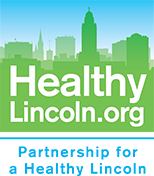 The SFAA follows the Lincoln Public School Calendar, offering lessons on Monday through Thursday nights. December 10th is the Christmas Concert that ends the Fall 2017 semester. Spring 2018 starts in January and ends in May. During the summer, lessons at the SFAA do not meet, however we offer multiple Music Camp experiences for a severely discounted cost. All of the SFAA instructors are highly skilled musicians and have a passion for teaching. A majority of them are recent graduates or current students in the UNL Music Education Program. Not only do they teach, but they also are part of the Shield Brass Band. Those interested in enrolling in the Shield Fine Arts Academy can email Amy Kruger, the Director of the Shield Fine Arts Academy or call her (402) 474-6263 ext. 1510.